The Gailes at Lakewood Shores Resort in Oscoda: A British Open feel in the U.S. Since 1992, The Gailes at Lakewood Shores Resort has been considered one of northern Michigan's top links-inspired golf course designs. The Gailes at Lakewood Shores Resort is one of Michigan's best links-style layouts. 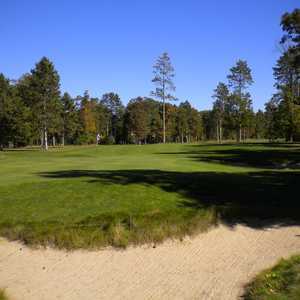 OSCODA, Mich. -- Few golfers can watch a week of the British Open Championship -- with the sideways rain, the hats flying off mid-swing and the oscillating balls on the green -- without becoming enamored enough to want to sample links golf themselves. But Scotland and Ireland aren't cheap, and Bandon Dunes isn't exactly down the street. So where do you go for a links golf fix in the U.S.? Coincidentally, the morning after watching Darren Clarke win the Open Championship at Royal St. George's, we had a tee time at The Gailes at Lakewood Shores Resort, located on Michigan's rural, working class northeast side near Lake Huron. Despite a location far from Michigan's better-known Lake Michigan side and a no-name local architect in Kevin Aldridge, The Gailes has earned Top 100 acclaim since it debuted in 1992. Arcadia Bluffs Golf Club, on the shores of Lake Michigan, is the headlining links play in the state. The Gailes, however, boasts a green fee that's a fraction of the cost but a layout that is similarly authentic, even if the lake views aren't there. 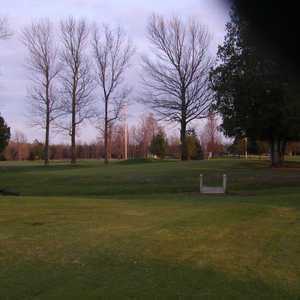 The course is plenty difficult, easily considered one of northern Michigan's toughest plays. Playing just less than 7,000 yards from the championship tees, the first five holes may be the toughest stretch on the course. A small creek runs both parallel and across fairways, giving these holes a Carnoustie-esque feel. The fairways and greens are guarded with bunkers that are both massive and so small you could step right over them. The greens, some of which are massive double greens, have a St. Andrews shape to them with slopes both subtle and severe. As for the setup, the rough is so thick it'd satisfy both R&A and USGA officials during a major championship week. Since The Gailes opened in 1992, architects like Tom Doak, Bill Coore & Ben Crenshaw and Mike Devries have upped the authenticity of their links-inspired designs by seeding courses with fescue turf. Contrarily, The Gailes' fairways and greens are bent grass. As a result, approach shots into the green don't bounce and run as much as a true links would. Then again, it rained the night before our round and we didn't catch a breath of wind the morning we played. So perhaps in windier, drier conditions, the approach shots would call for a more creative, Scottish style. The Gailes is the headliner of three 18-hole golf courses at Lakewood Shores Resort. Located beside The Gailes course is The Serradella, a more traditional, parkland design. The Blackshire is the newest course, opening in 2001, and is located about a mile down the road and set in a dense, woodland setting. 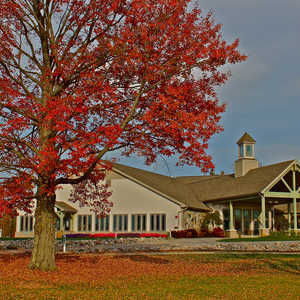 The resort has been successful in attracting Midwestern and Canadian golfers for years by offering very competitive package deals. Three-day specials start at $200, including lodging, and there is even a four-day, $400 unlimited golf package. Beyond the three full-length courses at Lakewood Shores, there is a fun 18-hole pitch-and-putt course -- located right behind the resort's 152 vacation-unit condos -- that is perfect for betting a few coins over some post-dinner drinks.